JHANG: Celebrating the opening of a new power plant, Prime Minister Shahid Khaqan Abbasi on Saturday laughed off attempts by the opposition to form an alliance against the Pakistan Muslim League-Nawaz as nothing more than hot air. 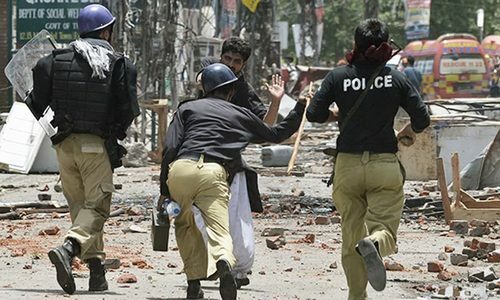 “When you add zero to zero, you get zero as the answer,” the PM said in a pointed reference to the ongoing activities at the Model Town residence of Pakistan Awami Tehreek (PAT) chief Dr Tahirul Qadri. A string of politicians, including PPP’s Asif Ali Zardari, have turned up at Allama Qadri’s residence since the report by a one-man tribunal on the Model Town killing of PAT workers in June 2014 was made public earlier this week. 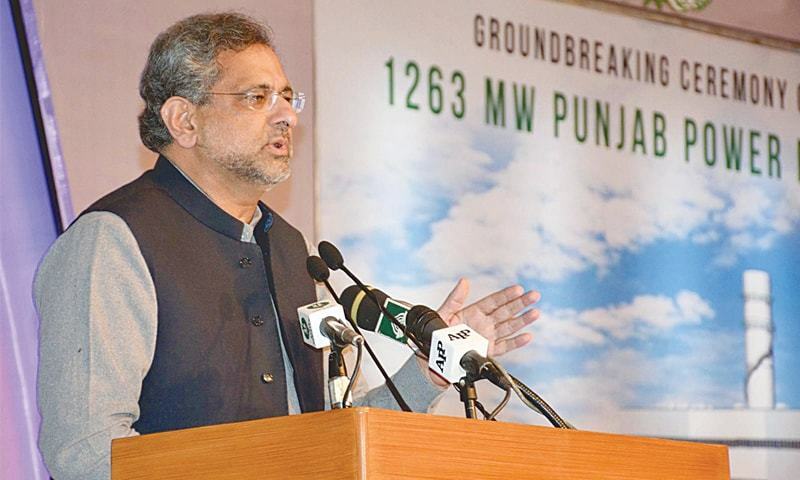 Mr Abbasi chose to focus on development project as he addressed a gathering after the groundbreaking ceremony of the second RLNG-based 1,263-megawatt power plant. 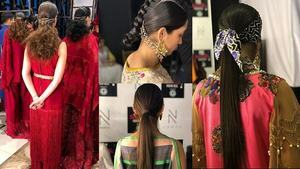 The plant is financed by Punjab from its own resources at Haveli Bahadur Shah near Jhang city. Visibly agitated over PPP leader Asif Zardari’s visit to the PAT office in Lahore earlier this week, Punjab Chief Minister Shahbaz Sharif took it upon himself to target the former president. Mr Sharif accused Mr Zardari of stealing public money during the last PPP stint in power. Instead of solving the problems of people and ending long hours of blackouts, he added, Mr Zardari used his position to make money and stash billions of rupees out of Pakistan in Swiss banks. 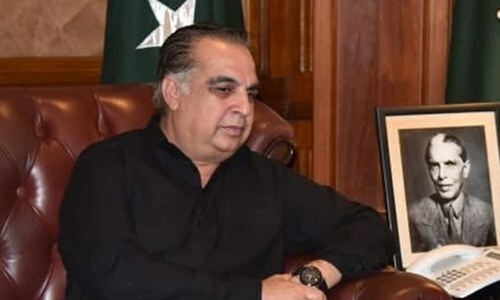 The chief minister didn’t spare the National Accountability Bureau (NAB) either for launching an investigation into 56 non-profit companies created by him over the years to undertake projects in different economic and social sectors. “I have no illusions about the new NAB chairman,” he said. “I am not asking him to stop investigating the companies. If I have done some wrong I should be held accountable for it. The inauguration of the fourth RLNG-based power plant in the province — two each financed by the federal and Punjab governments — was one in a series of events that provided the PML-N government an opportunity to highlight the positives achieved during its current term in the build-up to the election next year. In recent days, the PML-N has been boasting about its achievements of ‘overcoming’ the energy crisis before time. The Supreme Court’s decision to set aside a Lahore High Court order halting work on the $1.65 billion Lahore Orange Line Metro Train project, too, has come as a boost for the government. 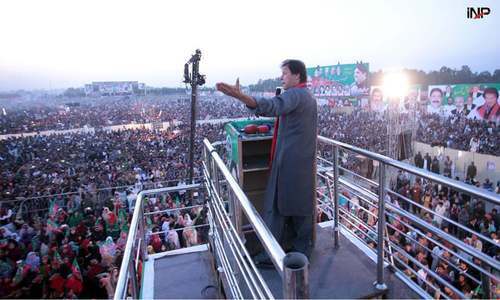 The prime minister said the opponents of the PML-N government were running away from the elections. “It appears as if the PML-N is the only party which wants elections on time,” he said. Urging the opposition to help the government pass the amendment bill to ensure organisation of elections on time, Mr Abbasi argued that it was high time all political parties worked together to advance the cause of democracy in the country. He said neither the ‘technocrats’ who ruled the country under Gen Pervez Musharraf nor those who returned to power because of the National Reconciliation Ordinance with the military dictator [the PPP] could solve the problems facing the country. This is the right approach - focus on what you can achieve in the time that you have left. Don’t worry about conspiracies and the losers who hatch them. It is worth reminding the mathematically minded that when you multiply any number, however large, by zero, the answer is zero as well. Lesson doing something worthwhile and not just going on playing zero-sum games. It will not benefit anybody, let alone the State and its citizens. Congrats on fullgiling one of the PMLN promises to the nation. If it is true that Electricity Black Outs have been eliminated by PML-N; then it is a commendable and remarkable achievement. Exactly! Why your appointment has made Zero difference to the Pakistanis system, since you take all marching ordres from one Mr. Hero to Zero, Nawaz Sharif. I bet next week, he will invite you to a lunch in London, and you will drop everything, spend Paksitani tax-payer's Rs. 1 million just for this one day trip!